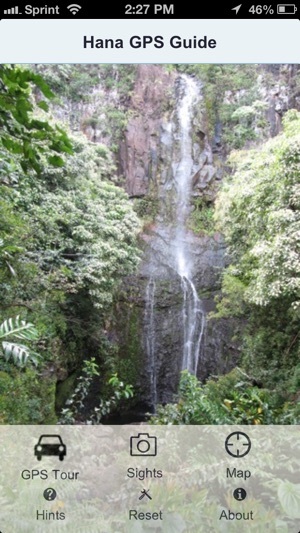 This GPS Tour Guide caters to the YOUNG and YOUNG AT HEART who like hiking, swimming in the pools of waterfalls, and ADVENTURE. 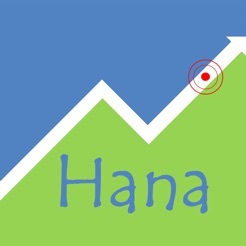 Other Hana tour guide apps "must stops" are almost all scenic views. Scenic views are great and we tell you about those too, but we also tell you about hidden waterfalls, swimming holes, waterfalls upstream that you wouldn't know about without the tour. This audio tour is also for those who like to plan ahead. This PREMIRE app includes description, multiple pictures, and map for EVERY attraction as well as GPS commentary that plays automatically as you drive for EVERY attraction. 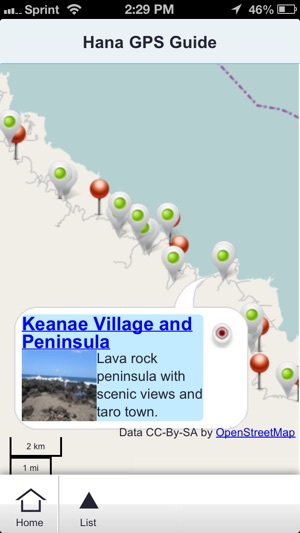 This app is designed to educate and inform you about Maui history and facts and guide you along the Road to Hana. You can customize your tour and be notified when a stop has your interests. Works with iPhone, iPad and iPod. Check out our screen shots and see for yourself. 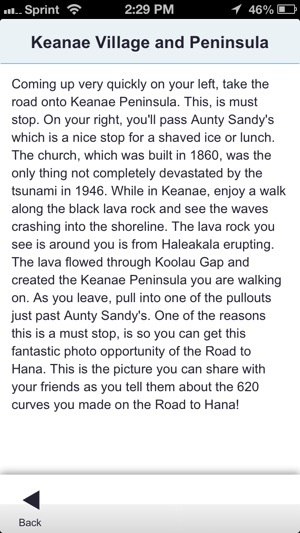 One mistake people make as they travel the Road to Hana is to try and read a book telling them about the sights. Unfortunately, the combination of reading and this winding road makes for a miserable time with carsickness. 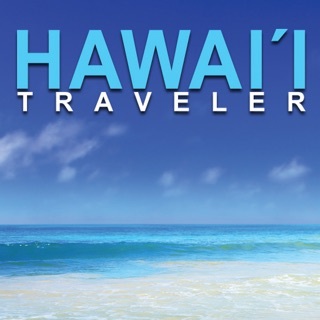 When you buy this app, you will be able to sit back and enjoy your travels as you listen to the commentary about the beaches, waterfalls, hikes, history, and interesting facts about Maui. You also have the option to look ahead and view the pictures and read the descriptions to see which attractions look most interesting to you. As you begin your tour you will also be given the opportunity to select your interests. The tour guide will inform you as you reach an attraction with your interests. It is recommended to bring a phone charger with you. Though you will not be using cellular service or have data charges, you’re phone will be constantly searching for a GPS signal and thus wear out the battery quickly. If you don’t have one, try to pick one up at the Walmart or Kmart in Kahului before you leave. Try to get on the road by 7:00 to avoid the heavy crowds and have the whole day to spend seeing the sights. Have a fun and safe trip. Mahalo! Please visit http://www.GuideMetravel.com for more information. iOS 8 fixes and minor bug fixes. This was just like paying for an expensive $100 tour but we got it for only $5 for the whole family. We even considered the CD, and the other app, but we liked looking through everything first and planning out our trip. It was great because we put in what we were interested in (ie hikes and waterfalls) at the beginning and when we got to a waterfall or hike it told us this might be a place we would want to stop. The descriptions were great & extremely helpful! Our favorite hike was near the end & we would missed it if we didn't have this app to suggest which sites/stops were better than others and descriptions of those sites to help us know whether we wanted to stop or not. In all cases the app was spot on and we were glad we heeded the advice to stop or move on because of our limited time. If you like to plan you can do so ahead of time and if you like to make spur of the moment decisions this app is perfect for it. You won't go wrong with this app! Wow we were amazed at how helpful this app was! We saw many tour buses along the road but realized we had the best tour- we could choose where WE wanted to stop and even had interesting commentary along the way. The tips about parking and how long each stop would take were very helpful. We would definitely recommend this app to anyone wanting to make informed decisions and make the best use of their time along the road. We will use this app again and hit some of the stops we skipped the last time we drove through. 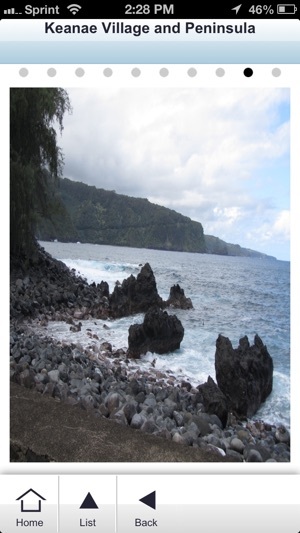 When I was planning my family's trip to Maui I figured, what the heck, why not try this app? Can't hurt, right? I honestly never expected it to be so useful. 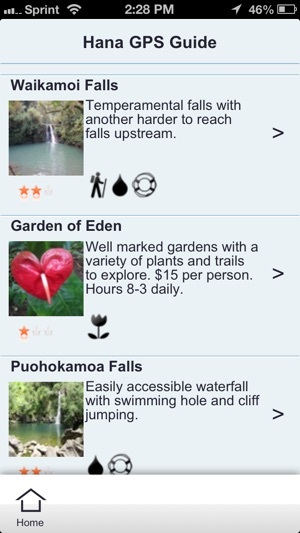 I'm still glad I brought my handy Maui Revealed book, because that's what I used to decide what we would stop to explore, but this app made it SO much easier to find everything and to know exactly when to stop. I really enjoyed the informative commentary as well. Overall, an absolutely outstanding app.